This article shows how to set up REST in Spring – the Controller and HTTP response codes, configuration of payload marshalling and content negotiation. The ModelAndView approach is older and much better documented, but also more verbose and configuration heavy. It tries to shoehorn the REST paradigm into the old model, which is not without problems. The Spring team understood this and provided first-class REST support starting with Spring 3.0. The new approach, based on HttpMessageConverter and annotations, is much more lightweight and easy to implement. Configuration is minimal, and it provides sensible defaults for what you would expect from a RESTful service. This is a shortcut, and though it may be useful in many situations, it’s not perfect. When more complex configuration is needed, remove the annotation and extend WebMvcConfigurationSupport directly. If we’re using the @SpringBootApplication annotation and the spring-webmvc library is on the classpath, then the @EnableWebMvc annotation is added automatically with a default autoconfiguration. We can still add MVC functionality to this configuration by implementing the WebMvcConfigurer interface on a @Configuration annotated class. We can also use a WebMvcRegistrationsAdapter instance to provide our own RequestMappingHandlerMapping, RequestMappingHandlerAdapter, or ExceptionHandlerExceptionResolver implementations. Finally, if we want to discard Spring Boot’s MVC features and declare a custom configuration, we can do so by using the @EnableWebMvc annotation. We’re specifying the Java configuration classes with the @ContextConfiguration annotation. The new AnnotationConfigContextLoader loads the bean definitions from the @Configuration classes. Notice that the WebConfig configuration class was not included in the test because it needs to run in a Servlet context, which is not provided. Spring Boot provides several annotations to set up the Spring ApplicationContext for our tests in a more intuitive way. We can load only a particular slice of the application configuration, or we can simulate the whole context startup process. For instance, we can use the @SpringBootTest annotation if we want the entire context to be created without starting the server. We can find detailed information on this subject on our ‘Testing in Spring Boot’ article. The Controller implementation is non-public – this is because it doesn’t need to be. Usually, the controller is the last in the chain of dependencies. It receives HTTP requests from the Spring front controller (the DispatcherServlet) and simply delegates them forward to a service layer. If there’s no use case where the controller has to be injected or manipulated through a direct reference, then I prefer not to declare it as public. The request mappings are straightforward. As with any controller, the actual value of the mapping, as well as the HTTP method, determine the target method for the request. @RequestBody will bind the parameters of the method to the body of the HTTP request, whereas @ResponseBody does the same for the response and return type. The @RestController is a shorthand to include both the @ResponseBody and the @Controller annotations in our class. They also ensure that the resource will be marshalled and unmarshalled using the correct HTTP converter. Content negotiation will take place to choose which one of the active converters will be used, based mostly on the Accept header, although other HTTP headers may be used to determine the representation as well. The status codes of the HTTP response are one of the most important parts of the REST service, and the subject can quickly become very complicated. Getting these right can be what makes or breaks the service. If Spring MVC receives a request which doesn’t have a mapping, it considers the request not to be allowed and returns a 405 METHOD NOT ALLOWED back to the client. It’s also a good practice to include the Allow HTTP header when returning a 405 to the client, to specify which operations are allowed. This is the standard behavior of Spring MVC and doesn’t require any additional configuration. For any request that does have a mapping, Spring MVC considers the request valid and responds with 200 OK if no other status code is specified otherwise. It’s because of this that the controller declares different @ResponseStatus for the create, update and delete actions but not for get, which should indeed return the default 200 OK. In the case of a client error, custom exceptions are defined and mapped to the appropriate error codes. These exceptions are part of the REST API and, as such, should only be used in the appropriate layers corresponding to REST; if for instance, a DAO/DAL layer exists, it should not use the exceptions directly. Note also that these are not checked exceptions but runtime exceptions – in line with Spring practices and idioms. Another option to map custom exceptions on specific status codes is to use the @ExceptionHandler annotation in the controller. The problem with that approach is that the annotation only applies to the controller in which it’s defined. This means that we need to declares in each controller individually. Of course, there are more ways to handle errors in both Spring and Spring Boot that offer more flexibility. These are the libraries used to convert the representation of the REST resource to either JSON or XML. If we want to retrieve JSON-formatted resources, Spring Boot provides support for different libraries, namely Jackson, Gson and JSON-B. Auto-configuration is carried out by just including any of the mapping libraries in the classpath. Spring Boot uses Jackson by default. If we want to serialize our resources in an XML format, we’ll have to add the Jackson XML extension (jackson-dataformat-xml) to our dependencies, or fallback to the JAXB implementation (provided by default in the JDK) by using the @XmlRootElement annotation on our resource. This tutorial illustrated how to implement and configure a REST Service using Spring and Java-based configuration. In the next articles of the series, I will focus on Discoverability of the API, advanced content negotiation and working with additional representations of a Resource. I will look into it. Also, you can always open up an issue in github. Thanks. Is there anyway to map DAO level exceptions to REST status code without using a controller specific @ExceptionHandler? I would like to configure that system wide. See the existing custom exceptions in the project (in github – link is at the end of the article); these are system wide and they map status codes to exceptions. Yes, I saw them. Problem is, I want to map Spring exceptions (Ex. JpaObjectRetrievalFailureException) to status codes. Anyway to do that? PS: Excelent articles 🙂 Thanks for the contribution. No way to map already existing exceptions to HTTP status codes as far as I am aware of. Also, the standard way to achieve what you’re trying to do (and a common pattern in Spring) is exception translation – catch the exceptions you know the underlying code throws and you wrap and re throw them in your own exceptions. Thanks, Eugen. I hoped there was some declarative way of handling this system wide since it needs to be done in several places. Thanks anyway. Question on the @ResponseStatus – I tried adding a reason to your BadRequestException (see my change below). I wanted to see the reason propagated to the client Response, but I don’t see it there. I set a breakpoint in your FooRESTIntegrationTest.java at the method givenResourceDoesNotExist_whenResourceIsDeleted_then404IsReceived on the assert and it just shows the response.statusLine=”HTTP/1.1 404 Not Found” where I would expect it to be “HTTP/1.2 404 BadRequestExceptionTest”). And then set breakpoint in your UserLogicRESTIntegrationTest.java at method whenUserIsCreatedWithNewRole_then409IsReceived at the response and don’t see the reason changed. It is “HTTP/1.1 409 Conflict” and would expect “HTTP/1.1 409 ConflictExceptionReason”. Thanks for any reply if you have the time, Otherwise I understand (it is a small issue, but I’m thinking it may just be a configuration). Thanks for the detailed feedback. Please go ahead and open up a new issue in github and I will deal with it as soon as possible. Sorry for the long delay, the issue is now closed. Thanks for great post. For some reason, if methods are marked as final, Spring injection doesn’t seem to work for controllers in my configuration (injected beans are null in controller). Couldn’t figure out why. Just wanted to point that out if someone stumbles on the same problem. 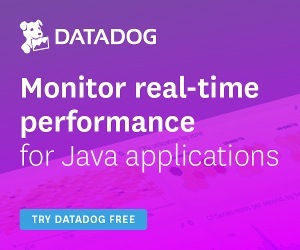 If methods are final, then Spring is no longer able to proxy them – it’s likely that, in your configuration, your controllers are implementing an interface, in which case, the controllers are peroxided via JDK proxies. The quick fix is to architect your controllers to not implement any interface.